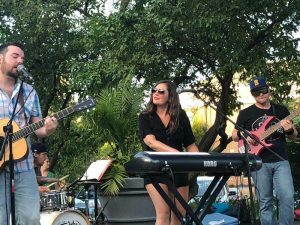 Quirky and charismatic, The Empty Pockets craft rootsy, often-cerebral and always-catchy Americana rock ‘n roll with a smack of Texas saloon and a taste of Motown soul. It was a scorching Chicago summer in 2006 when long-time friends Josh Solomon, Danny Rosenthal and Nate Bellon officially became a band. After recording their first original demo, the boys starred in a 2007 theatrical production of the Buddy Holly Story which served as a showcase for the new group. The band attracted the attention of local morning show personality Scott Mackay (WLS-FM) and the show’s success lead to a tribute album and critical acclaim in print, along with television and radio appearances. Playing as Buddy Holly and the Crickets each night was a rock and roll roots education that left an indelible mark on The Empty Pockets’ music, focusing their sound on driving rockabilly grooves thick with rhythm and blues, and thoughtful melodies and harmonies in classic pop song structures. With the Buddy Holly buzz, the boys went back in the studio to complete an album of their original music. They released “Under the Bed” using early band name, “Josh & the Empty Pockets,” at the beginning of 2008 – a fun, multifaceted album so full of catchy refrains that Nickelodeon licensed the album in it‘s entirety for the shows; iCarly, Zoey101 and Drake & Josh. Produced by industry veteran Rick Fritz (Brian Wilson, John Mellencamp), the single “Fall Right Now” tells the story of a young romance that almost too eagerly becomes true love. 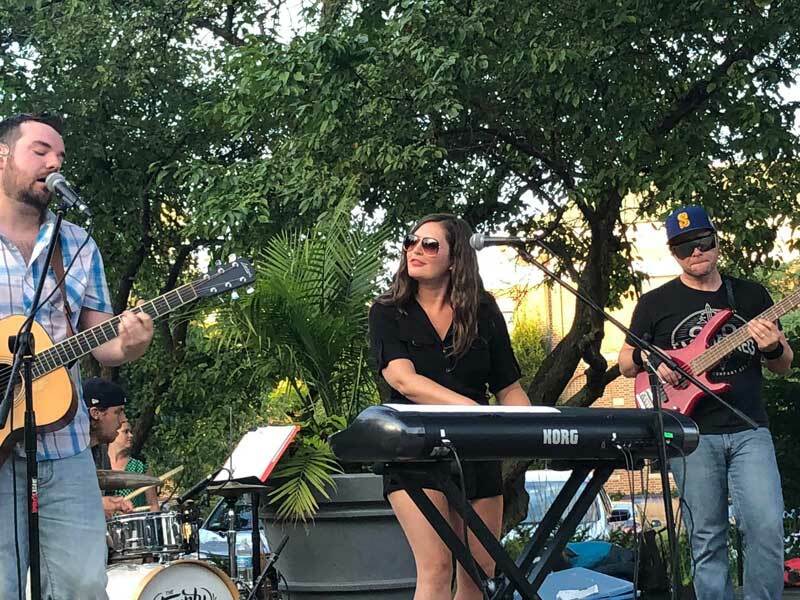 Josh’s muse for “Fall Right Now,” Erika Brett, was soon asked to join the band and the new foursome, now simply “The Empty Pockets,” headed into another studio session, this time for a holiday duet. While on their first tour, The Empty Pockets’ single, “Baby It’s Cold Outside” – a spirited mash-up of two holiday classics – hit radio with airplay on over a hundred markets nationwide peaking at #25 on the Medibase AC Chart. The band toured extensively, including a showcase at SXSW, piquing the interest of legendary manager David Spero (Joe Walsh, Cat Stevens, Dickey Betts) who added the band to his roster in late 2009. In 2010, The Empty Pockets had a breakout year, sharing the stage with Jennifer Hudson and Rock ‘n Roll Hall-of-Famer, Buffalo Springfield’s Richie Furay and headlining historic venues like the House of Blues Chicago. Their song, “Take Me,” about the conflict in Afghanistan was featured in award-winning documentary, “Patrol Base Jaker.” Energized by these opportunities, the band has toured relentlessly since, opening for comedian George Lopez and artists like Grammy-winning Dickey Betts, Dave Mason, and Kansas, sharing the bill with stars like Jason Mraz, Jimmy Cliff, and FUN., all while recording and releasing two EP’s: “Introducing The Empty Pockets” and “A Holiday Staycation,” both of which received substatial national airplay on Triple-A and Hot AC radio stations. Having recently finished their first full-length album in the studio they built with their bare hands, The Empty Pockets pride themselves on delivering what they call, “handcrafted rock and roll.” These new songs showcase the group’s rich, analog sound, as well as the skillful musicianship, fearless singing and spirited showmanship true to their performances onstage. Catch the band as they travel the country in their van, The Pocket Rocket.